There will be hours of fun at the annual Petersburg Carnival Days on June 20 and 21, 2017. On Tuesday evening, a flag raising and National Anthem will be held on Main Street at 7 p.m. followed by kid’s races (foot, bike, trike and diaper races). On Wednesday, a free barbecue sponsored by Great Plains State Bank will be held at the downtown park shelter at 5:30 p.m. A flag raising and National Anthem will be at 6:30 p.m. Petersburg development recognition will follow. 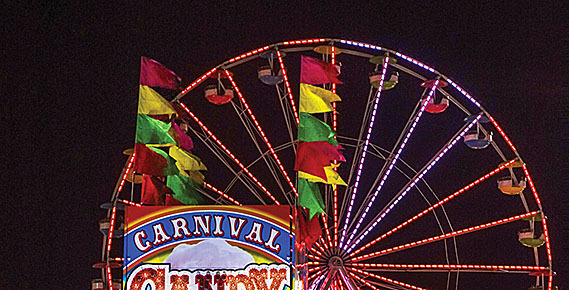 D. C. Lynch Shows carnival will begin both nights at 6 p.m.
Tickets are available for the carnival at several locations in Petersburg. See special Print and E-editions of the Petersburg Press this week.